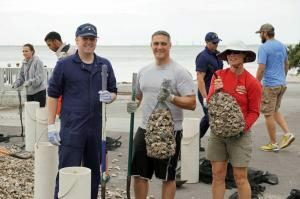 Volunteers will be shoveling fossilized shell into mesh bags, transporting the bags via boat and placing oyster shell bags on the shoreline to create an oyster shell bar at McKay Bay. The project includes manual labor with the bags weighing around 30 lbs. each. Sign up at http://bit.ly/TampaBayWatch.